Ron Hanft has been the Financial Secretary for our congregation since 2012. He processes all receipts, makes bank deposits, allocates deposits to the appropriate accounts, maintains individual giving records and produces quarterly reports of contributions for donors. He reports to the Treasurer and Chair of the Trustees. 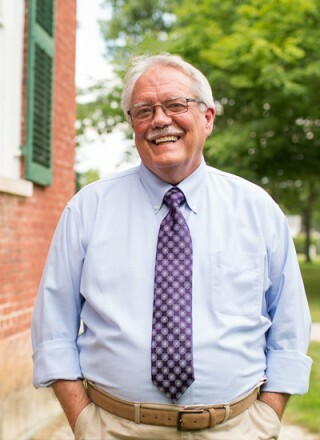 Ron recently retired from a career in program management with religious and philanthropic organizations, beginning with the Church of the Brethren and the American Friends Service Committee. Over the past 25 years he has worked with several private and community foundations. He established a home in Berkshire County in 2004 and joined our church soon afterward. Ron has served as a deacon and on several other church committees. Along with his professional commitments Ron has had a life-long avocation in music, directing and singing in church choirs, and as pianist and organist. He currently sings in our church choir and in the Berkshire Lyric and Stockbridge Festival choruses. Ron serves regularly as a substitute organist for churches throughout south Berkshire County.